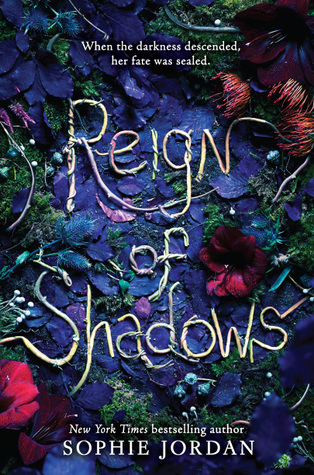 With a unique concept, unique and interesting characters and an unusual world, Reign the Shadows had the right ingredients to keep me intrigued. Throw in an eclipse that has lasted for seventeen years, with only an hour of midlight a day, and bloodthirsty monsters that come out of the ground during the dark, and I was all in! The night that the eclipse cloaked the land was the same night that Luna's parents, the King and Queen, were killed. Sivo, her fathers royal guard, and Perla, her mother's handmaiden, ran with Luna and they have kept her hidden her entire life in a tower in the middle of the cursed woods. One midlight, a series of events take place that forever changes Luna's world. She will leave behind all she has ever known to get herself to safety, so the king will never find her. A heart-breaking, terrifying, emotional journey begins that will forever alter Luna's world. And she might find all she has been searching for in a boy named Fowler, the boy who's life she saved. Secrets always come back to haunt you though, and Luna and Fowler will learn this the hard way. Though the pacing of the story was a little uneven at times, the story itself more than made up for it. Sophie Jordan has done an incredible job with world-building in this book. I was fully able to imagine the land in the dark, and that precious hour of midlight and the hope and relief that it brought. The atmosphere was very easy to imagine, and I found myself frequently chilled. The terror of running into the creatures, and the humans that were somehow worse, was easy to imagine. I am definitely impressed with the world-building in this book. Especially the little town in the treetops! The main characters in this book were pretty freaking impressive. Luna, who is blind and has been since birth, was a breath of fresh air. She was smart and strong, able to take care of herself, and even when she would feel down or frustrated, she never whined. She was very REAL. I loved her almost immediately, and she impressed me more and more as the story went on. Even with everything that life had thrown at her, her heart was open and full. Her sense of honor was so refreshing. Fowler was the opposite of Luna. He was closed-off, harsh. He didn't want or need anyone. Every single person that he had cared about was killed, and he decided it was better to just not feel. He kept Luna at arms distance in the beginning, but slowly he came around. He saw that it was okay to care for someone, and he truly started to care for Luna. Their love wasn't an insta-love. They got to know one another, and though the romance happened quickly, it also felt genuine. I really liked Reign of Shadows. The beginning may have been slow to grab me, but there isn't much else that I can say that would be negative about it, other than the uneven pacing. Everything else is really solid. The ending is really abrupt, and it will make your heart sink to your toes, but it also makes you REALLY WANT the next book. Sophie has created a story with amazing characters, and a world that leaves you thankful for our own. I am really looking forward to the sequel, which I am really hoping will be called "Into the Abyss"! Read it, and you will understand why! I really liked one of Sophie Jordan’s other books, so I can’t wait to start this one! Glad it was a good read despite the slow start :) Great review!! The synopsis sounds a lot like Rapunzel but loosely based, i have the arc from edelweiss and definitely very excited to begin it.